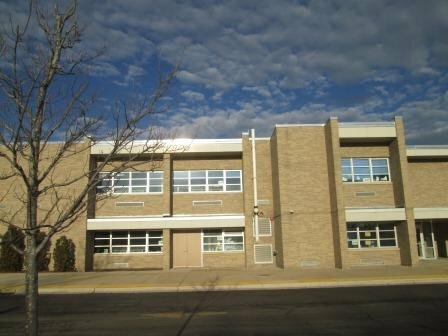 We installed 6 radon mitigation systems at Pleasantdale Elementary School in LaGrange, IL. 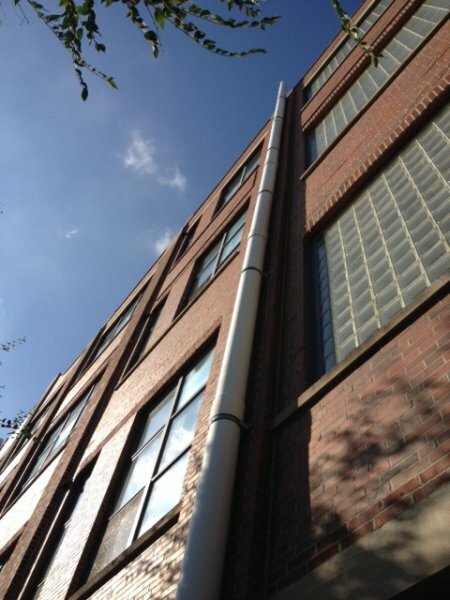 We installed 6 radon mitigation systems at Pleasantdale Elementary School in LaGrange, IL. 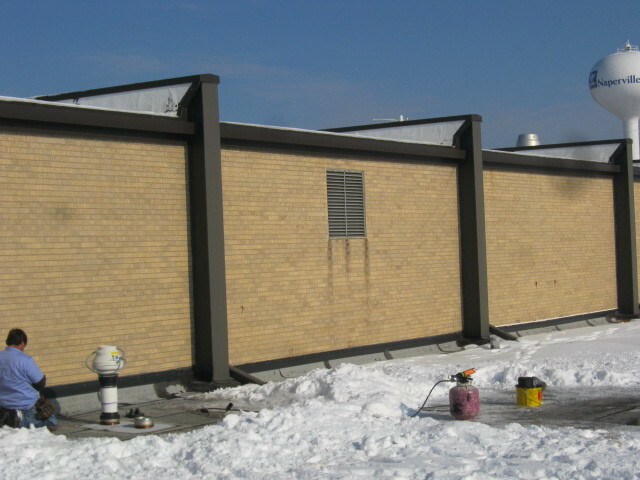 Five of the radon fans were located on the roof of the school. 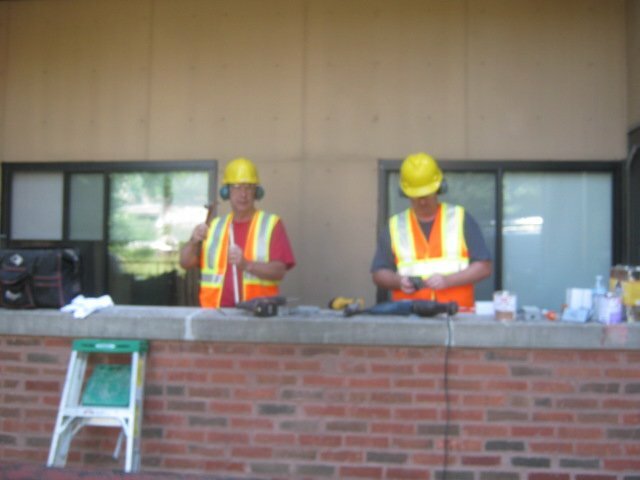 Here we are coring through the concrete roof. 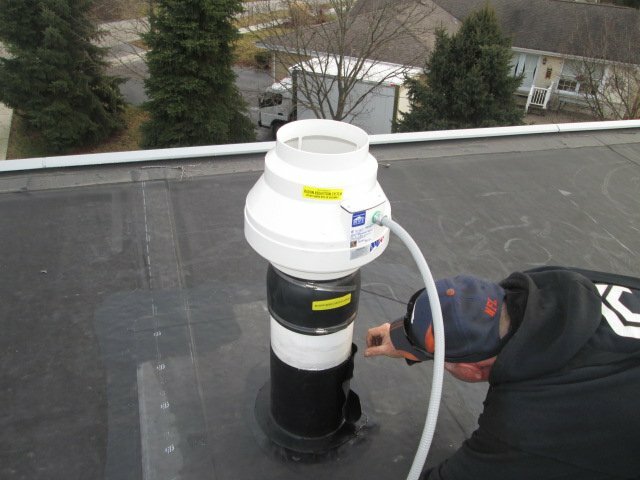 We installed 6 radon mitigation systems at Pleasantdale Elementary School in LaGrange, IL. 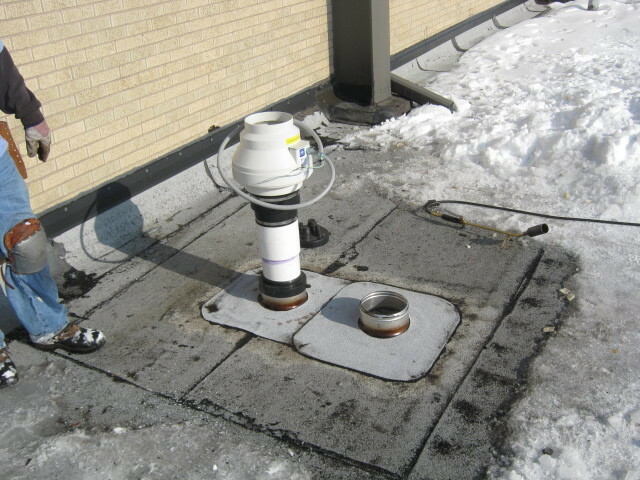 Five of the radon fans were located on the roof of the school. 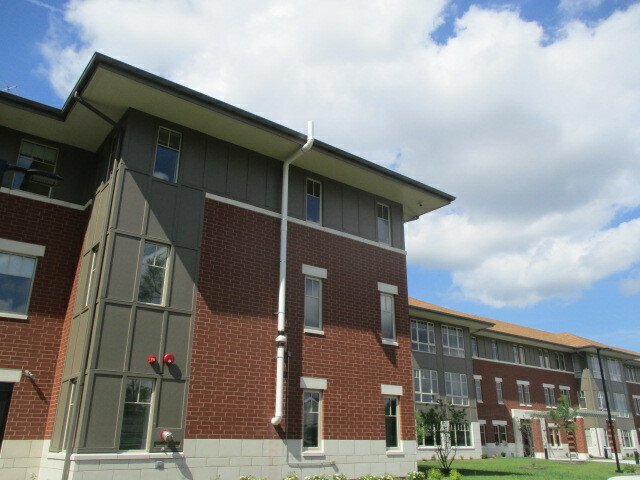 This is a school with the fan installed on top of a flat roof. 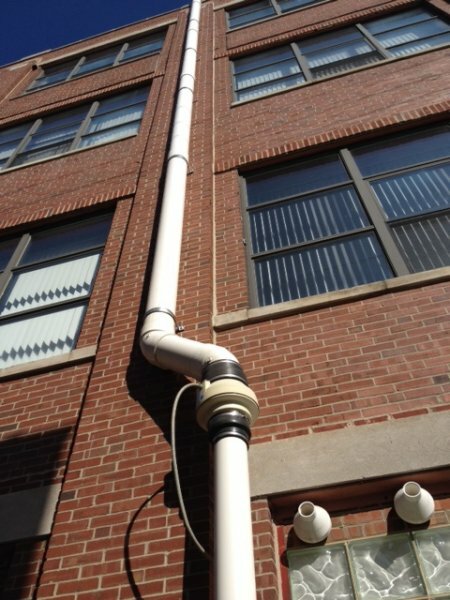 This is a bank with a 6" diameter PVC exterior exhaust pipe. 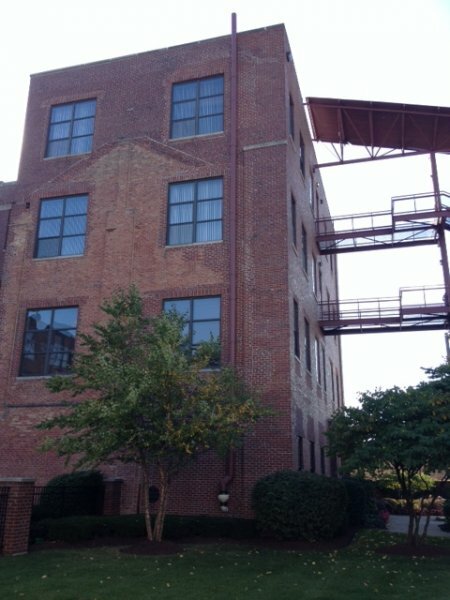 This is a factory converted into loft apartments. We used 8" diameter PVC pipe as the exterior exhaust pipe for optimum efficiency. We painted it to improve aesthetics. This is a factory converted into loft apartments. We used 8" diameter PVC pipe as the exterior exhaust pipe for optimum efficiency. We did not paint this pipe per client's request because it is not visible to residents. This is the former Pullman Wheelworks factory in Chicago, converted into apartments. We used 8" diameter PVC pipe as the exterior exhaust pipe for optimum efficiency. 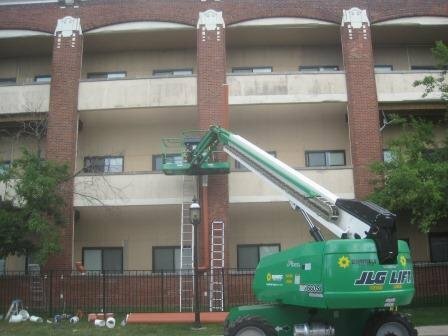 We painted this pipe to match the exterior. 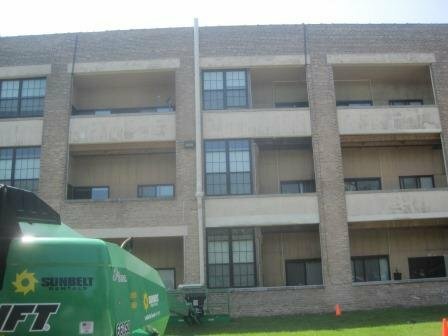 This multi-family building on the west side of Chicago was completed in 2017. 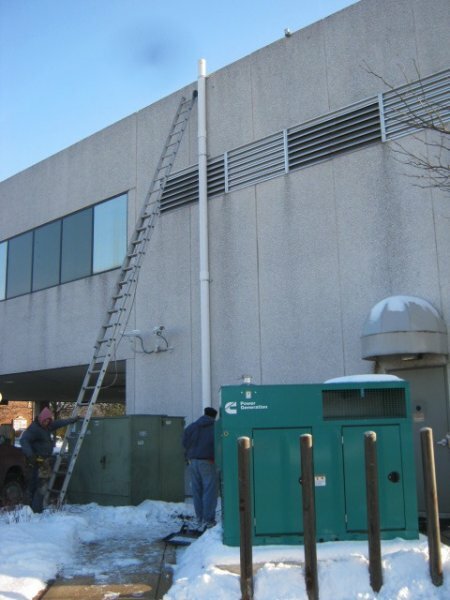 We used 6" PVC pipe as the exterior exhaust pipe to minimize noise, decrease potential for system freeze-ups and increase overall efficiency of the system. 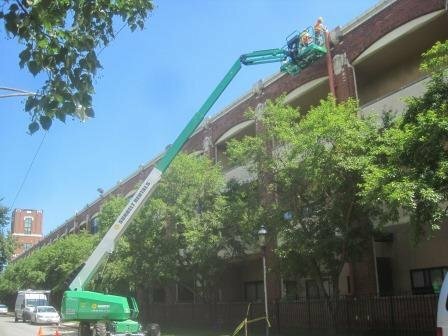 This multi-family building on the west side of Chicago was completed in 2017. In this picture the Magnehelic manometer is used to monitor negative pressure inside the primary suction point. The oversize suction point was made into the floor to aid in removal of the aggregate. 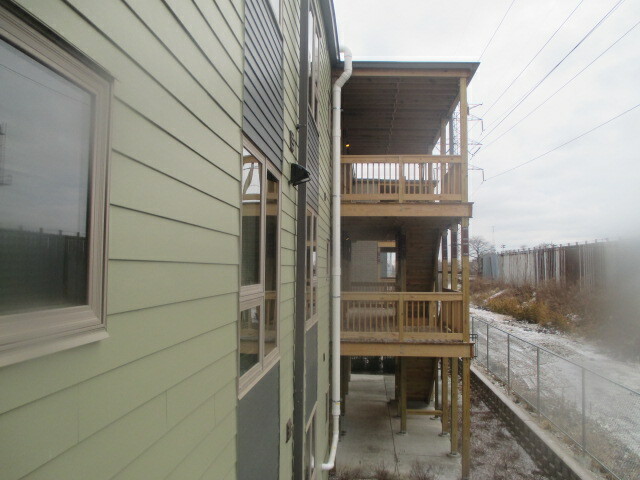 This multi-family building on the west side of Chicago was completed in 2017. 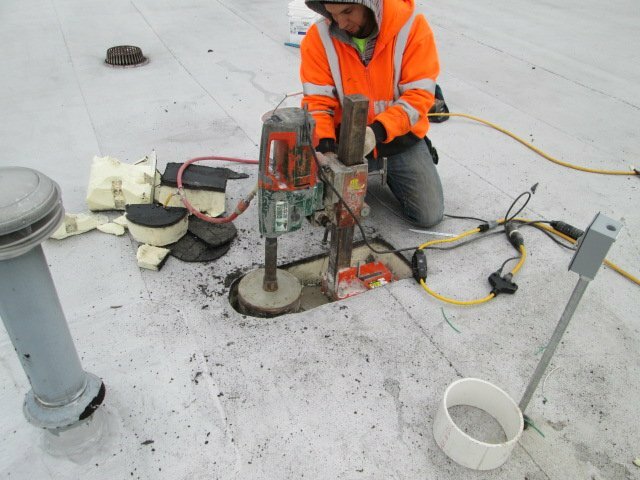 Pre-mitigation diagnostic testing indicated highly compacted aggregate directly under the concrete slab. When dealing with compacted aggregate with small fines, higher suction series in-lines fans are required. 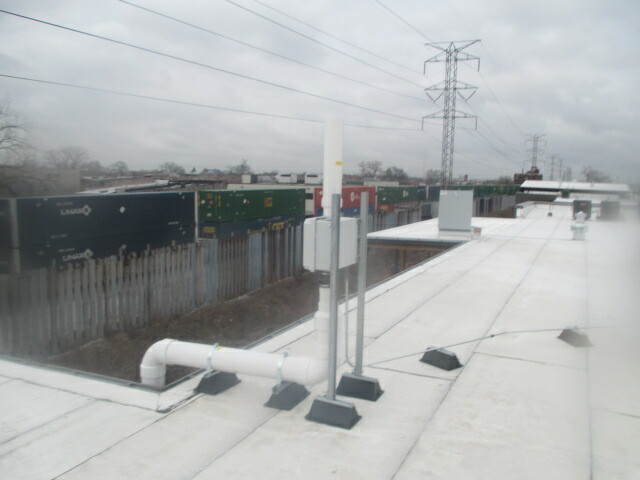 The in-line fans were located on the roof to minimize exposure to noise to the tenants and eliminate tenant complaints. The size of the exhaust pipe was increased to decrease the noise, decrease system freeze-ups and improve the overall efficiency, eliminating additional costly suction points. 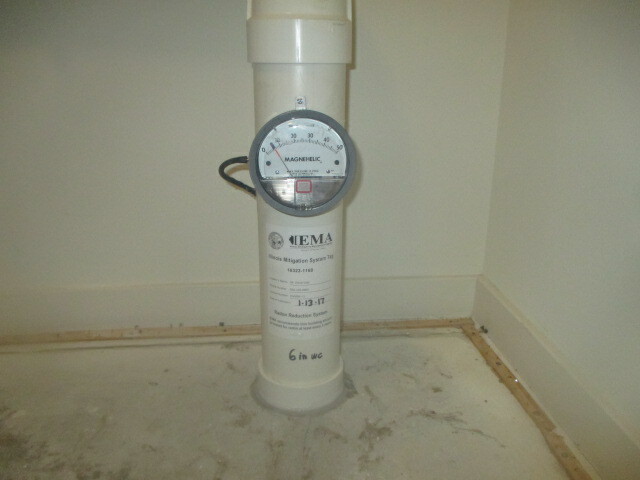 We installed a radon system to cover one apartment in a 3-story apartment building in Wheeling, IL.